Pillows can showcase people's personal taste and interests. For example, a dog bone shaped pillow is a great gift idea for animal lovers in your life or even the family pet. However, store-bought pillows can hurt your wallet. Consider making your own dog bone pillow for your home or as gifts for friends and family. You do not have to be a professional seamstress to make a pillow. Even a sewing novice can create a quality pillow for a fraction of the cost of store-bought pillows. Draw the dog bone pattern onto the cardboard. Add 1/2-inch to the size that you want to accommodate the seam. Cut out the pattern from the cardboard. Place the fabric right side down and put the pattern on top of the fabric. Trace the pattern using sewing chalk. Cut out the pattern. Trace and cut the pattern again so you have a front and back to your pillow. Place the two pieces of fabric together with the wrong sides touching. Sew three sides of the pillow completely closed and about half of the fourth side. 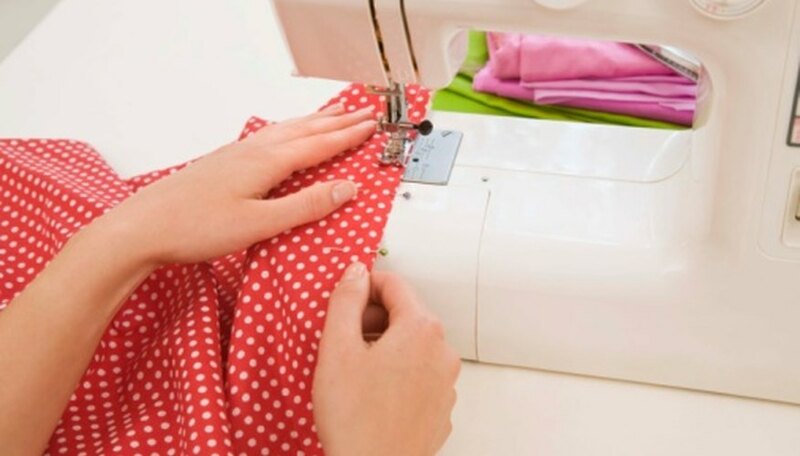 Your stitches should fall about 1/2-inch from the edge of the fabric. Turn the fabric right side out so the seams are on the inside of the pillow. Fill the bag with the styrofoam beads or pillow batting using the partial opening on the fourth side. Finish sewing the fourth side closed. Your pillow is finished. If you have any excess fabric leftover, you can create a matching one. Embellish the pillow with ribbon or beaded trim. Simply sew it along the seam.